Eucerin has an exciting announcement I’d like to share with you… the latest generation in moisturization is here! Eucerin’s NEW Professional Repair Extremely Dry Skin Lotion is their latest innovation in dry skin therapy. Leave your email on the contest entry form. Become a fan of LAB’s Facebook Page. Then leave a comment on the wall saying you entered the $125 Visa Card And Pro Repair Lotion From Eucerin giveaway. Tweet this message: “Hope I win the @EucerinUS $125 Visa Card/ Pro Repair Lotion giveaway from ladyandtheblog.com (@verasweeney).RT to Enter #contest #giveaway”. Fan Eucerin US on Facebook and leave this link on their wall saying you are entering the $125 Visa Card And Pro Repair Lotion giveaway on ladyandtheblog.com. Eucerin saves me from looking like an alligator in the winter! Fanned Eucerin US on Facebook and left link on their wall saying I was entering the $125 Visa Card And Pro Repair Lotion giveaway on ladyandtheblog.com. Entered through the form. Eucerin is great for my son’s eczema. Thanks for the chance to win! I entered through your form. Liked your FB page and left contest entry comment on your wall. I entered through the form. Thanks! I like you on Facebook and wrote on your wall that I entered this giveaway. Thanks! I like Eucerin on Facebook and I wrote on their wall that I am entering this contest. i’m a fan of LAB’s Facebook Page. i get the LAB’s newsletter. I’m a fan of LAB Facebook page and left a comment. I left my name and email on the contest entry form! I liked LAB facebook page AND left a comment! I’m a newsletter subscriber. Thanks! I follow on Networked Blogs- Nicole Krebs Balogh. I am already a newsletter subscriber at nbalogh522 at gmail dot com. Already an email subscriber through this email address. I filled out the contest form. I’m signed up for LAB’s newsletter. I like LAB on FB with my username Mary Happymommy and I wrote on your wall that I entered. left my email in the contest form! I follow you on networked blogs. My username is Mary Happymommy. Signed up for LAB’s newsletter. I am now following you on NWBlogs! I will also be getting your newsletter in my inbox…looking forward to it! I liked Your facebook page and I liked Eucerin and left the link on the wall! Thanks for the giveaway! I am a surviving burn victim my “birthday” is April 17. I live off Eucerin! Would LOVE to try this one!!!!!! I can’t wait to try this, my skin feels like leather!! My skin needs help and I get it from Eucerin. I’m a fan of LAB’s Facebook Page and left a comment on the wall. Really want to get itch relief. Not a want a need. Lov this stuff. I hope to win the Eucerin US $125 Visa Card and Pro hair lotion giveaway! I liked Your facebook page and I liked Eucerin and left the link on the wall! Thanks for the giveaway! Can wait to try new lotion. I am entering the $125 Visa Card And Pro Repair Lotion giveaway on ladyandtheblog.com. I am a fan of Eucerin and left the message on their wall. Can’t wait, already a fan of eucerin! signed up for email. thanks for the giveaway my 4 yr old has ezcema bad and the weather is changing and its acting up really bad.And its gets costly with all the lotion I have to buy to keep her comfortable. Singed up to follow, liked LAB on FB,liked Eucerin on FB and left comment, followed on Networked blogs(Kathy Ross). Fan of Eucerin US on Facebook and left this link on their wall saying I was entering here. Signed up for newsletter, fanned both FB pages and left comments. Thanks for the chance! Fan of Eucerin after I tried it for the first time! I am a fan of Eucerin & posted a comment on their wall. I liked your page on facebook and left a comment. Jenny Powell. I just liked Eucerin and posted your link. I hope to win. Thanks! I already subscribed to your newsletter. I’m a fan of Eucerin US and left a comment on their wall about the contest! Subscribed to your newsletter, andlike Eucerin. I am a fan of Eucerin and LAB’s facebook page and signed up for LAB’s newsletter! I liked Lady and the Blog on facebook! Want to win a $125 visa card & Eucerin US Pro Repair Lotion? Go to this site & follow the directions. Good luck!!! I really want to win! Thank you for the opportunity!!!! Your lotion is wonderful and I love it. i use the anti itch and the dry skin. I would love to win this cause I never win anything and my luck is so bad. I’ve had cancer and I lost my grandmother and her son which is my dad within 11 months of each other. Became a fan of lady and the blog on facebook! I am a fan of LAB on facebook. I left my email on the contest entry form. can’t wait to try pro repair lotion!!!!!!!!!!!!!!!!!! I am a fan of Eucerin and left link on there wall. Fan on Facebook and posted on your wall that I entered. I signed up for your newsletter!! 1. Left my email in the contest entry form. 2. LAB fan on FB! 4. Fan of Eucerin on FB & left a post w/ the link telling them I was enter the contest. 6. Following LAB on Networked Blogs. 8. Subscribed to the newsletter. Oh I hope I get picked to win this contest, Ive tried the professional repair, and it is the only thing that helps my husbands insanely dry skin! Great contest! I completed the entry form, tweeted about the contest, Liked your FB page and left a comment and liked Eucerin’s FB page and left a comment. i’m a fan of eucerin’s facebook page already! i completed the entry form also! I leave my mail on the contest entry form. I’m fan of LAB’s Facebook Page and I leave a comment on the wall. I’m fan Eucerin US on Facebook and I leave this link on their wall. I sign up for LAB’s newsletter. I liked and commented on the LAB fb page, already love and “liked” Eucerin’s page, so I just left a comment and then I am leaving a comment here. Thank you. I have entered the giveaway by submitting the form up top, liking your facebook page and commenting on it, tweeting about it, already liked eucerin so posted a comment about this giveaway. Would love to get the opportunity to try their new lotion. I just entered for the 125.00 visa card and Eucerin contest. I hope I win. My skin is so itchy and dry from hep c treatment.I could really use this!!!! Filled out the entry form including my e-mail. Became a fan of LAB’s FB page and left comment on wall. Like Eucerin on FB and linked to the contest on their wall. I am Become a fan of LAB’s Facebook Page and I left a comment on the wall saying I entered the $125 Visa Card And Pro Repair Lotion From Eucerin giveaway. I tweeted the message: “Hope I win the @EucerinUS $125 Visa Card/ Pro Repair Lotion giveaway from ladyandtheblog.com (@verasweeney).RT to Enter #contest #giveaway”. 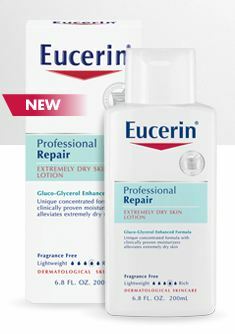 I am a fan of Eucerin US and left a message on their Facebook saying you are entering the $125 Visa Card And Pro Repair Lotion giveaway on ladyandtheblog.com. I hope I didn’t need to leave a comment for the initial entry–because I completed the form for that. I like LAB’s FB page and posted on the wall. I subscribe for LAB’s newsletter. I did the form, #2 and #4 on the list. I’d love to win this giveaway because my skin went from being simple to manage to suddenly super dry. It’s driving me insane! I entered the Eucerin contest too! This comment serves as 1 entry. Thanks! I became a fan of LAB on facebook. I also subscribed to the newsletter. I am subscribed to the newsletter and filled out the contest form. I already subscribe by email. Thanks! I entered the Eucerin giveaway!! I hope I get this prize! I like you on Facebook and posted a comment. I like the Eucerin Facebook page and posted a comment. I entered the $125 Visa Card And Pro Repair Lotion giveaway…thank you! I am a fan of Eucerin US on Facebook and left link to contest on their wall. I left a comment on your FB wall (catalina khalaj). Thank you for hosting this giveaway. I left a msg on your facebook wall. I signed up for LAB’s newsletter. Entered the contest, also completed steps 2, 4, 6, and 9. Thanks! “Liked” Eucerin Us On Facebook, and signed up to receive “lady and the blog” newsletter. Would love this gift, and could really use both! I subscribe to LAB’s newsletter. already Signed up for LAB’s newsletter. I left my name/email addy on the contest entry form and signed up for your emails! already subbed to labs newsletter from heartsnflowers72 at gmail.com. Sign up for LAB’s newsletter. i entered the form info! FB fan & left a comment, thanks! I am definitely not a lady, but if it (the product) works, I like it. I signed up for the LAB newsletter by email. oops, I see this already closed. Sorry!